Isn’t it ironic? I mean how fewer people know about their own state? This is alarming to see the lack of awareness in Bihari’s about their own state. Coming back to the survey results, we can see that except Bodhgaya and Rajgir; there is no such place in Bihar that would promote tourism at large scale. Many of us, even after born and brought up in Bihar, we hardly know about such local places where we can spend our weekend, or have a good time with family and friends. We all crave for such places where we can have some good time away from daily work and chaos of life. Now the question is, “Is Bihar so poor in terms of such tourist places despite having a distinct history, rich culture, and heritage?” It is the land of origin of some of the greatest empires (The Mauryan and Gupta Empire) in the world. These empires originated and unified large parts of not just Indian subcontinents but the far islands of Java and Sumatra. It is the same place where Nalanda and Vikramshila University existed that attracted students and scholars from all over the world. So, what happened to all these places? Did they just disappear? In quest of finding all these answers, we came across a photographer from Patna, Ashisk Kaushik. Ashish is born and brought up in Patna. His Instagram profile illustrates a completely different and mesmerizing look of Bihar. 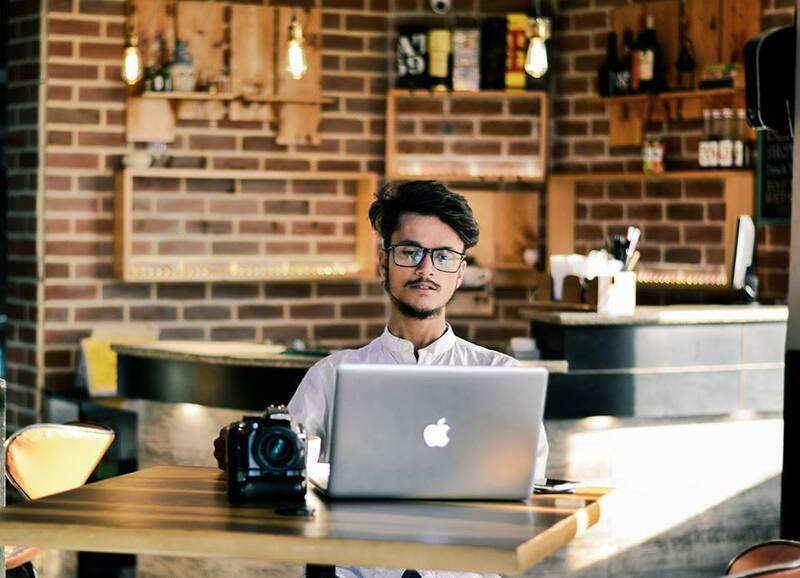 To learn more about his vision and opinion about the Bihar he wants to showcase, we got on a call with him and tried finding out what inspired him to get to such locations in Bihar and capture their uniqueness from behind the lenses. I am Ashish Kaushik, born and brought up here in Bihar only, done my schooling from May Flower School and Loyola High School. Since childhood, my friends and relatives used to mock me for being different or rather say having a different approach towards life. We all know while living in Bihar we are nurtured in a way so that we can get some or the other government job, but my aspirations were different. After I failed in class 12th, I was sure that I am here to do something different, I can’t get into as per conventional social norms. I do not know how much impact my work is having on people of Bihar, but I am overwhelmed by the reaction my videos and photos are getting, and this is kind of motivating me and keeping me assured that I am certainly on the right track. From where did you get motivated to opt Photography as your career? As such, I don’t remember the exact moment when I decided to have it as a career but I had an inclination towards clicking pictures from childhood only. I remember having a Samsung Galaxy phone, and I used to click pictures here and there. My friend Rishi Raj also inspired me to get into this career, as I used to love the photos clicked by him. Another thing, that inspired me to become a travel photographer is nature. Once you look around, nature is such a beautiful palate with beautiful colors and creatures. I remember in 2014, when I visited Bangalore to Ooty, the mesmerizing beauty of mountains in Ooty really inspired me to become a travel photographer. So there are beautiful places in India and around the world, but when did you realize that Bihar has some potential in travel? 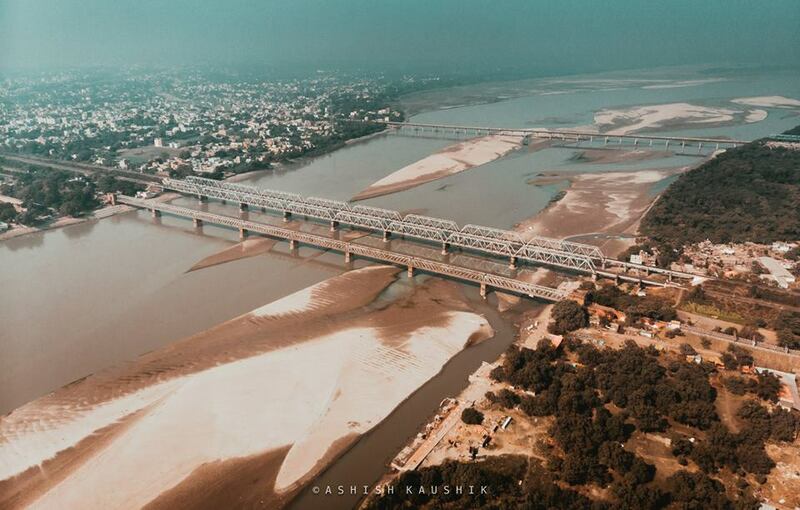 It all started with a zeal to know what Bihar has, as I shifted to Delhi my friends used to decide and discuss about the places they will go in holidays and as usual, I had nothing to say. Therefore, this made me think that Bihar has such vivid history and 150 waterfalls (as per general knowledge) then why we don’t have places where we can go and spend some time. And if you take a roundabout knowledge of Bihar then take an example of Valmiki Nagar reservoir it has 16 tigers, many Leopards, bears, dears, and also more than 250 species of Birds. 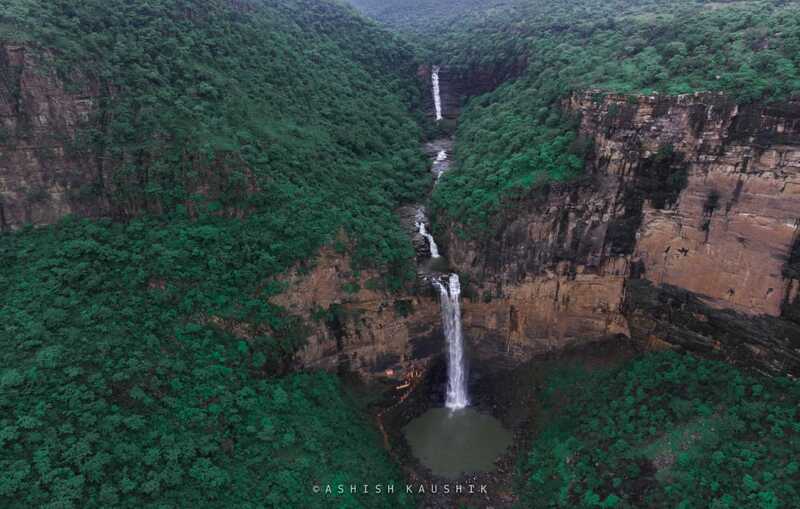 Then if you go to the south-west part of Bihar we have Rohtas Gadh Kila, also have several waterfalls, Sher-Gadh fort, Durgawatti reservoir and many other places of interest. If you go to Darbhanga or Madhubani areas, there are a lot of things which are getting destroyed only because the government is not taking corrective efforts to preserve them. You also traveled to places which are not considered safe in Bihar, how was your experience there? It’s said its unsafe, but actually its not. For example, while we were going Rohtas we were told many naxal stories and many horror stories about that place but we went there and believe me we found everything opposite. There was nothing as such Naxalite effect and people there were so helpful. One person Mathurao Ram who was an inhabitant of Rohtas helped us a lot, took us to the height of 1500 feet, and helped us in exploring that place. So, we were a bit terrified but we were compassionately helped by locals there, one incident I would like to share we were out of water and food at that 1500 feet, one of the locals Surendar Urao not only got us water but also some biscuits to eat. So, I am not telling that things are smooth but definitely not as bad as the Internet or popular folklores say. You are a young mind, how do you feel Bihar can be converted into a tourist spot? Accept coastlines and mountains with snow Bihar has everything, mountains, waterfalls, and many historic places as Rohtasgarh fort which can be converted into a palace to host a destination wedding. In Ain-E-Akbari it is mentioned that there are more than 200 waterfalls in Rohtas itself, we have Ganga coastline, Son River which can be converted into weekend getaways. We have Valmiki National Park, which can be developed as a spot for a wildlife safari. So, we have places in abundance those places just need government attention. Your photos look amazing, have you trained yourself for this? I have never took any course on photography, we all have heard “practice makes a man perfect” and I actually have practiced it. Apart from this YouTube has been my guide. In my free time, I watch YouTube videos and I read a lot about photography. So whatever I am, its all learning from my own mistakes and efforts, taking criticism as well as appreciation both positively. What do you want to say to our young generation who are roaming around streets with a DSLR and trying to be a photographer? I want to be a bit blunt here, having a camera in your hand doesn’t make you a photographer. First thing, ask yourself, “Is photography your passion?” “Is this the profession you are serious about or want to carry forward?” If your answer is yes then move ahead. Another thing is try creating your own style and uniqueness don’t follow the footstep of others if you are in this profession. How was and is your family support? Look, we are in Bihar and like every other family, my family too was very upset on me being in this profession. But you know once you prove and show them that this is the thing of your life, they automatically support you. After failing in 12th, I lost my father’s trust who now is very proud of me. Recently a reporter called my father to know about me, he talked to him for around half an hour, I don’t remember my father talking to me for that long. So now things are fine my family is supporting me and are proud of me and nothing makes me happier than seeing them proud of my work. So, this was Ashish Kaushik, a boy from Bihar, who literally is trying to make a difference in Bihar. You must follow him on Instagram his Instagram handle is @callmekaushik, and see his amazing work there. A writer who is willing to produce a work of art, To note, To pin down, To build up, To make something, To make a great flower out of life even if it’s a cactus. A writer who is willing to produce a work of art, To note, To pin down, To build up, To make something, To make a great flower out of life even if it's a cactus. पुलवामा हमला – शहीदों की चिताओं पर आखिर कब तक राजनीति और कूटनीति? Powered By: DigiTout Media Pvt. Ltd.